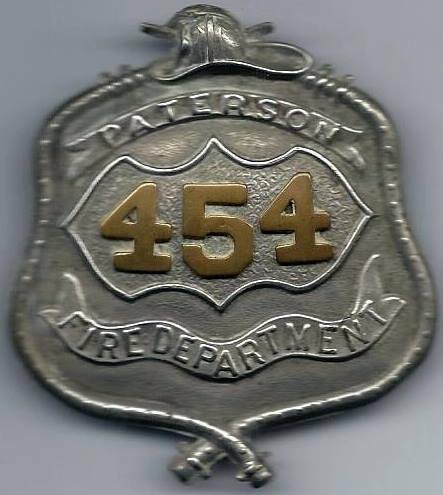 March 17, 1862: Ordinance re regulations of Paterson Fire Department. 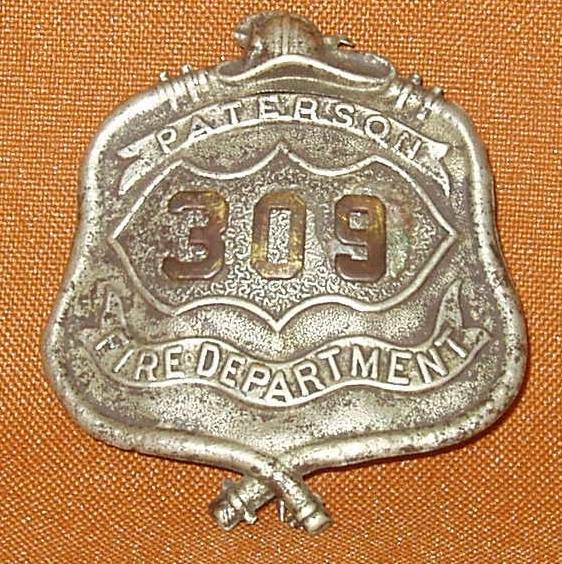 Badges must state "Paterson Fire Department" and each to bear a distinct white metal raised number from dies that are property of the department. 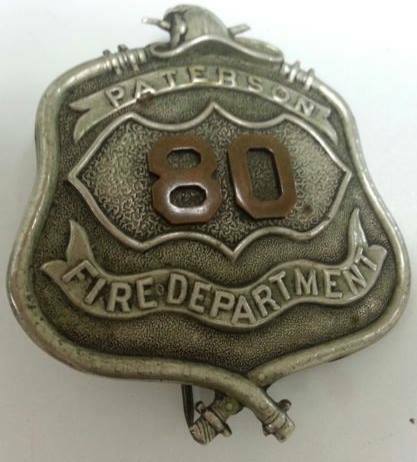 Badges to remain property of department, not the firemen. 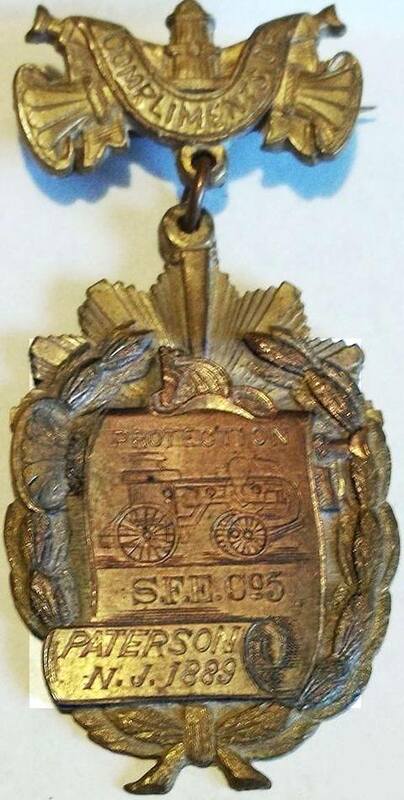 The following badges can date to the early 1860s. 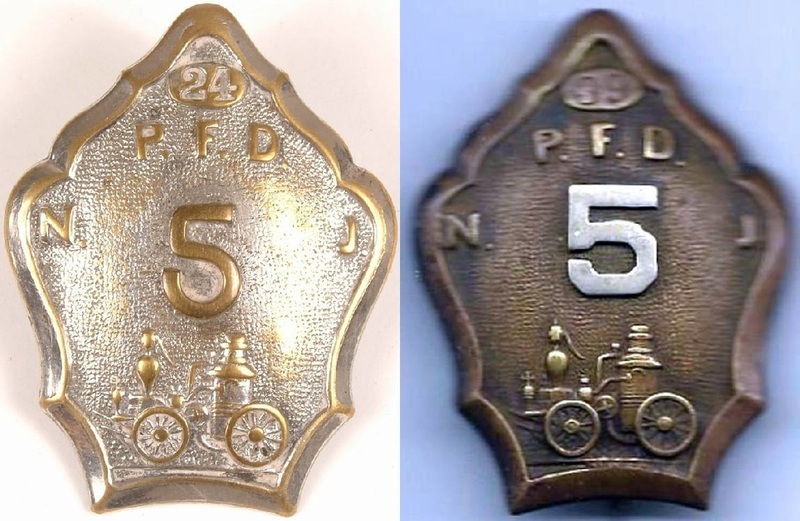 The numbers in the center are specific to a given fireman. 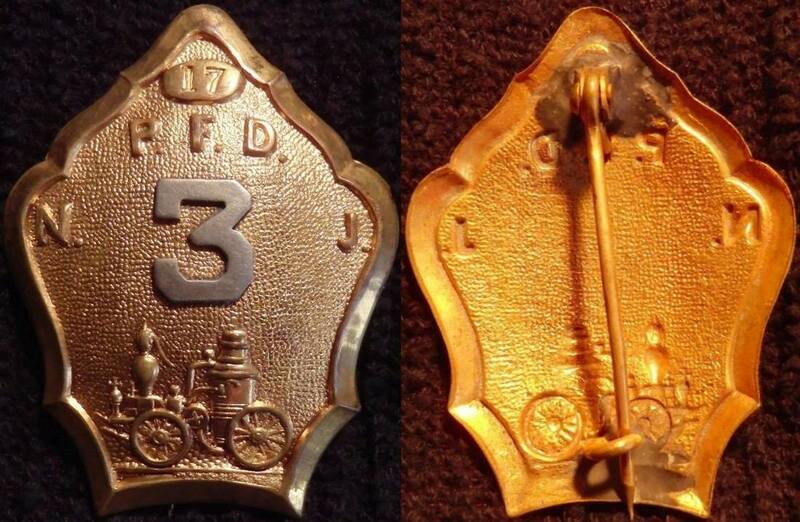 The hose border suggests (not definitively known) they may have been hose company badges. 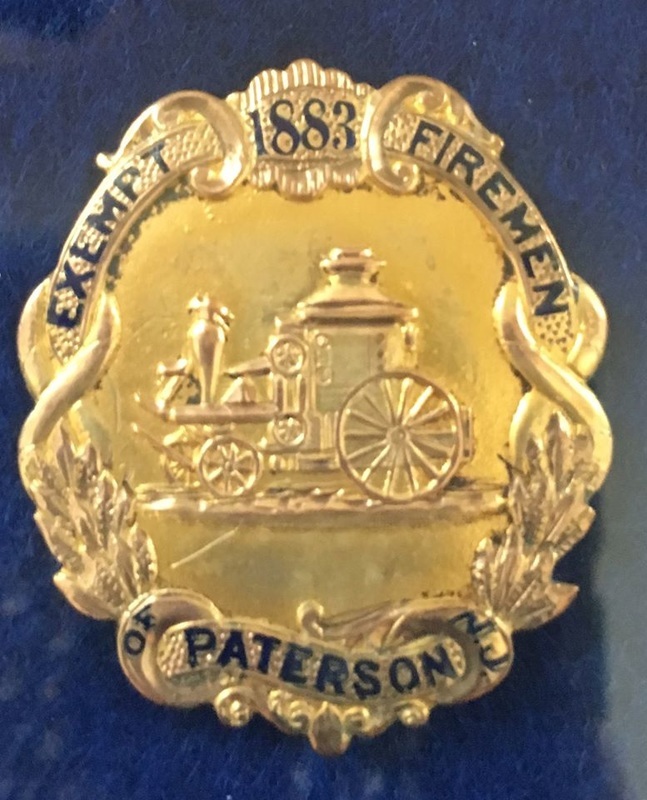 Shield shaped badges were use by all of Paterson's Volunteer Companies starting in the 1870s and continuing until the department became paid in 1890. 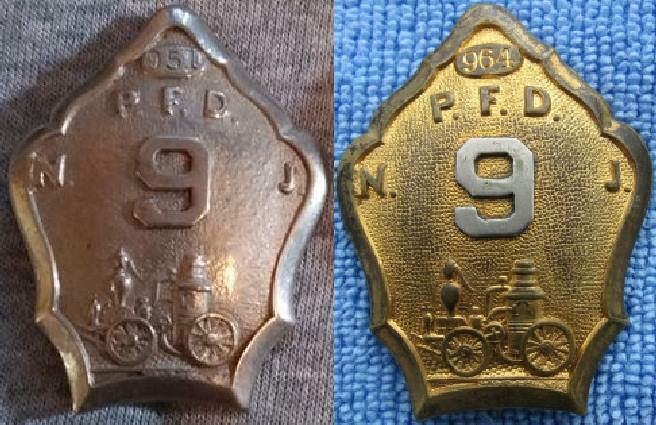 Exempt firemen used "silver" (nickel plated) color and non-exempts the brass ones. 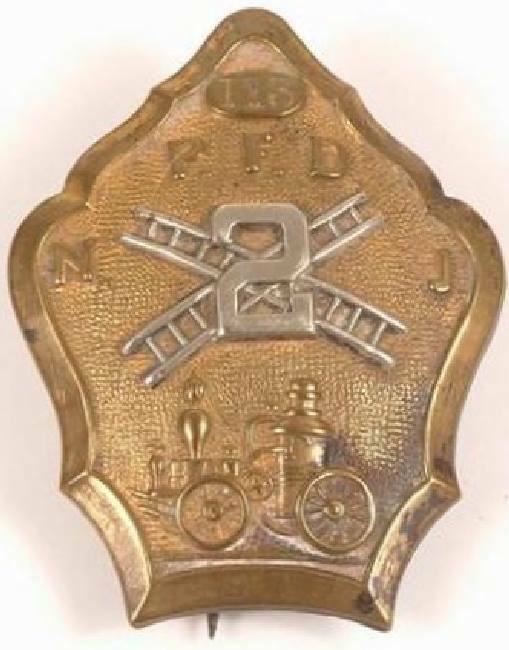 The badges all have a steam fire engine on the bottom, the company number in the center and the fireman's badge number at the apex. 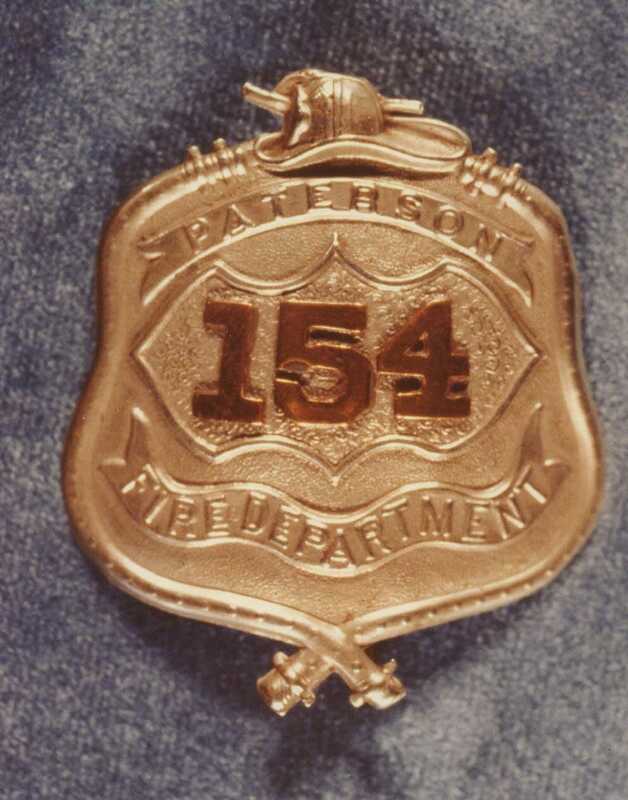 Hook and Ladder Companies had crossed ladders around the Company Number and Hose Companies display a circular hose around the Company Number. No. 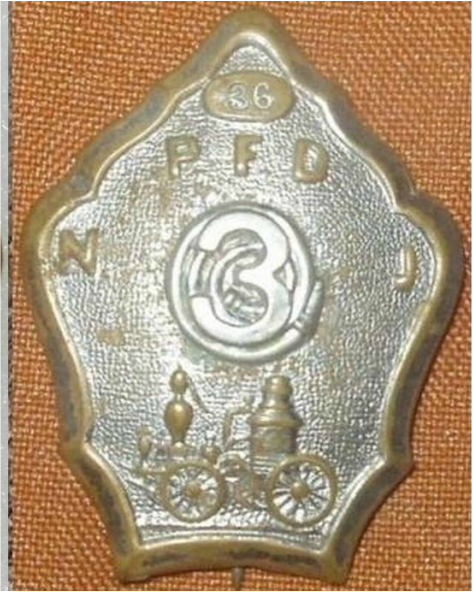 is the abbreviation for number. 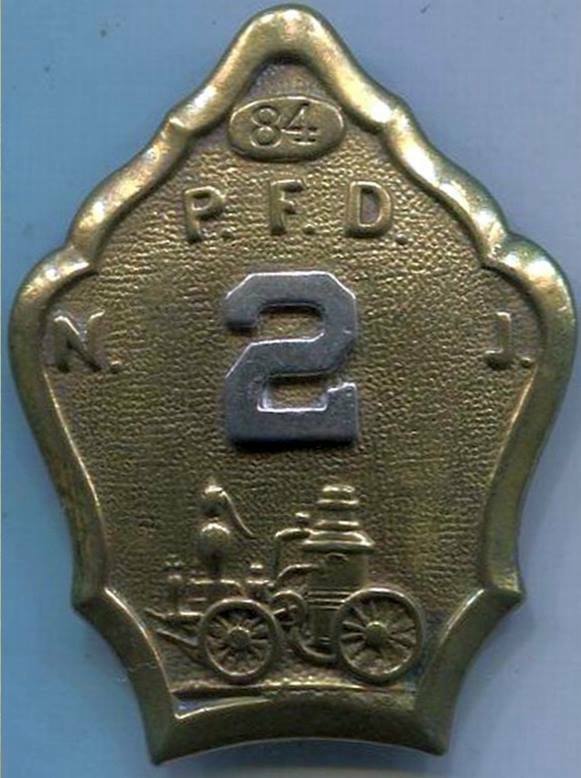 There never was an Engine Company 1, 2, 3, 4, 5, 6, 7, 8 or 9 in the Volunteer PFD. 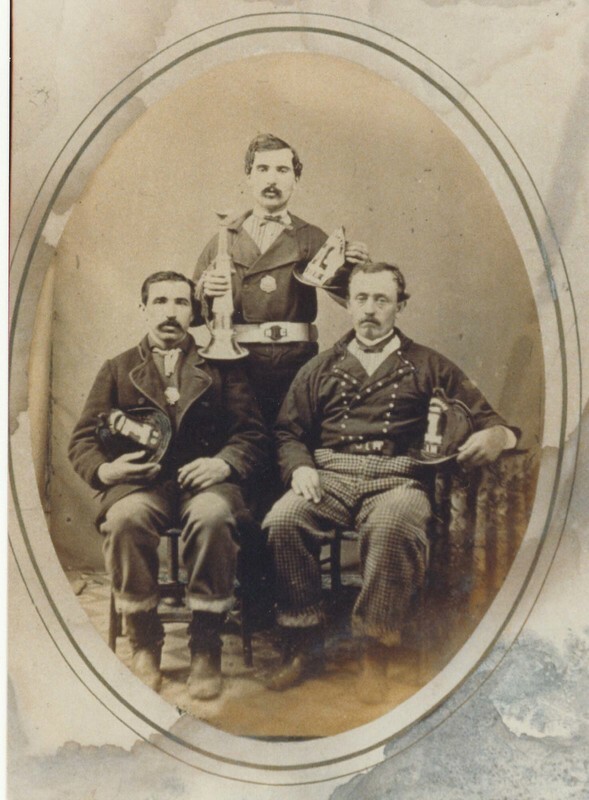 The proper terminology was Passaic No. 1, Neptune No. 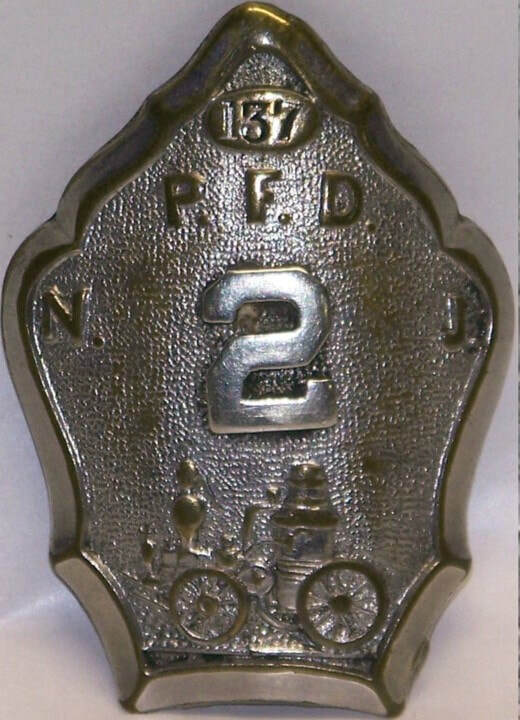 2, Washington No. 3, Jackson No. 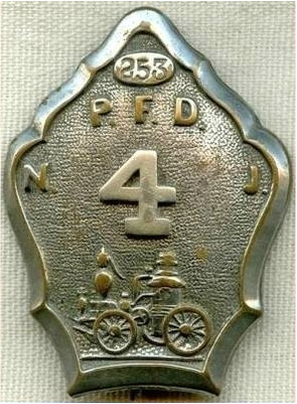 4, Protection No. 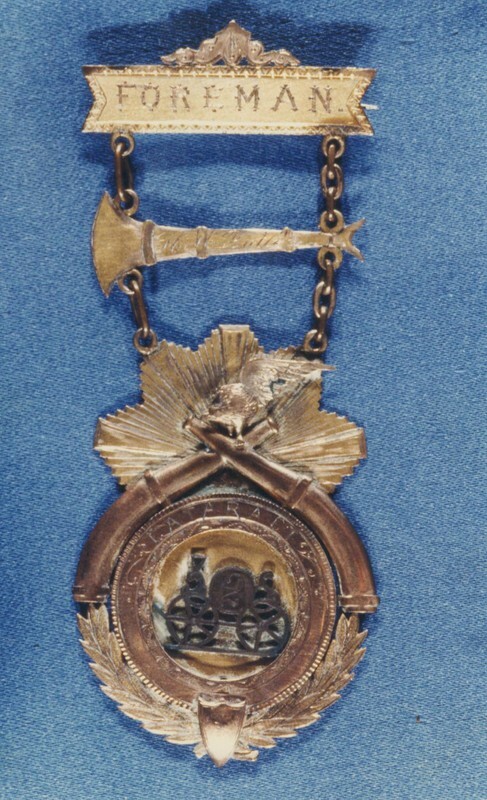 5, Vigilant No. 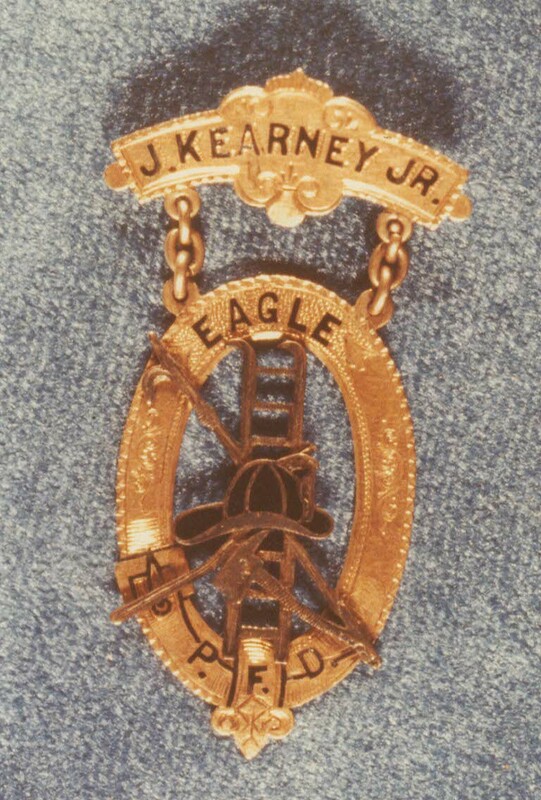 6, Liberty No. 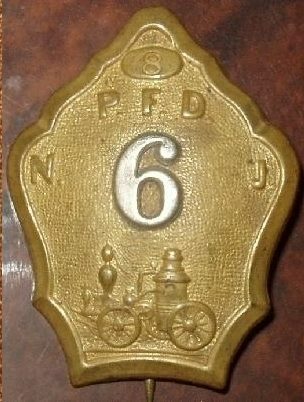 7, Lafayette No; 8, Paterson Steam Fire Engine (SFE) No. 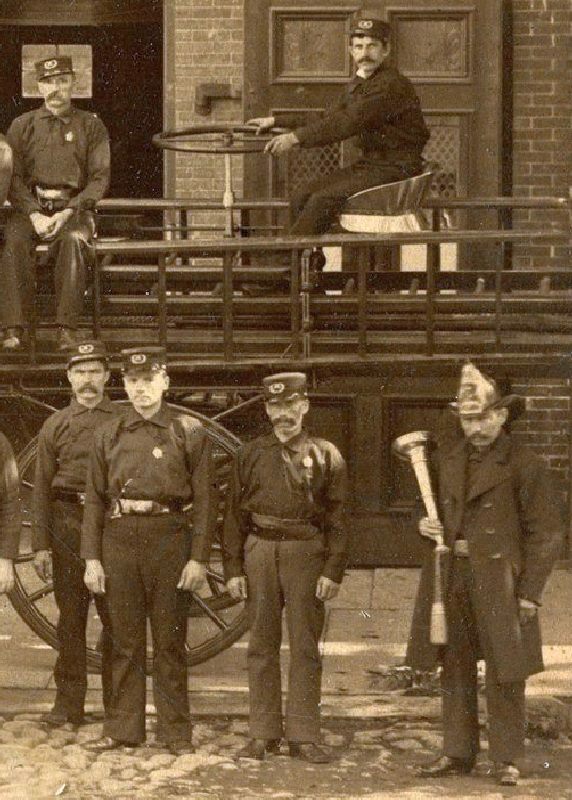 No 9, Columbia Hose No. 1, Cataract Hose No. 2, Hibernia Hoe No. 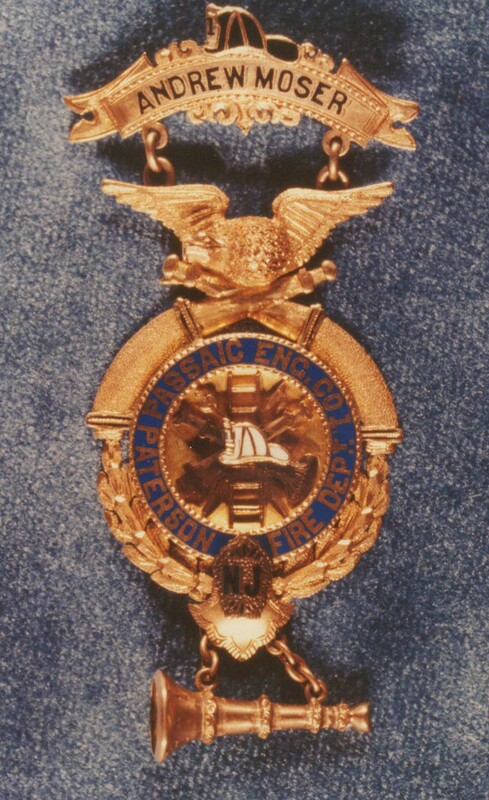 3, Eagle H&L No. 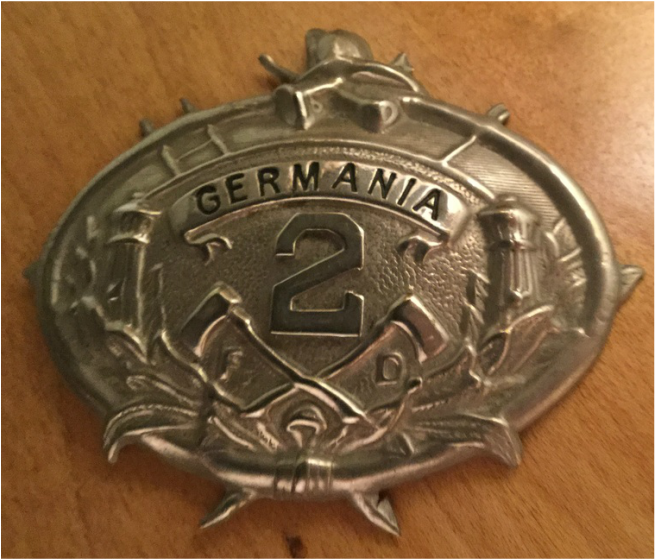 1, Germania H&L No.2. 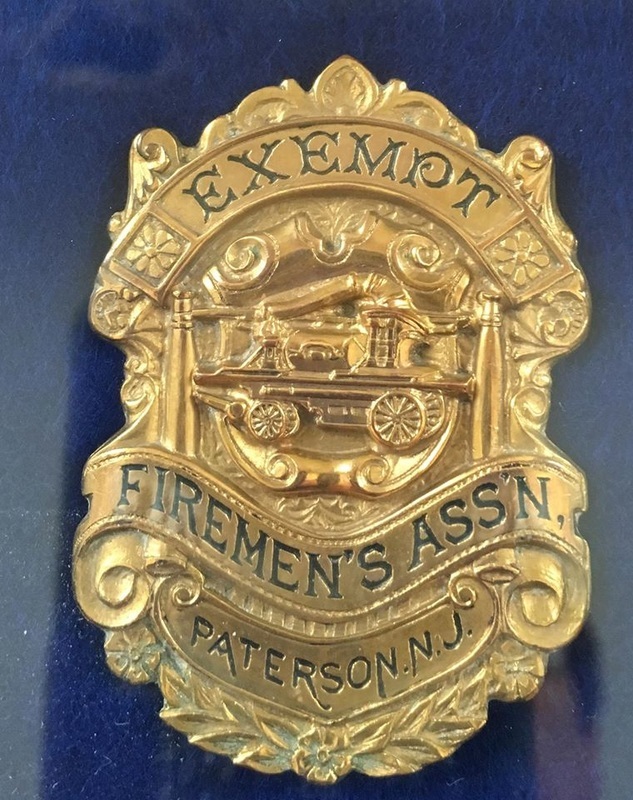 Once an Engine company obtained a steam fire engine the names changed to Passaic Steam Fire Engine (SFE) No. 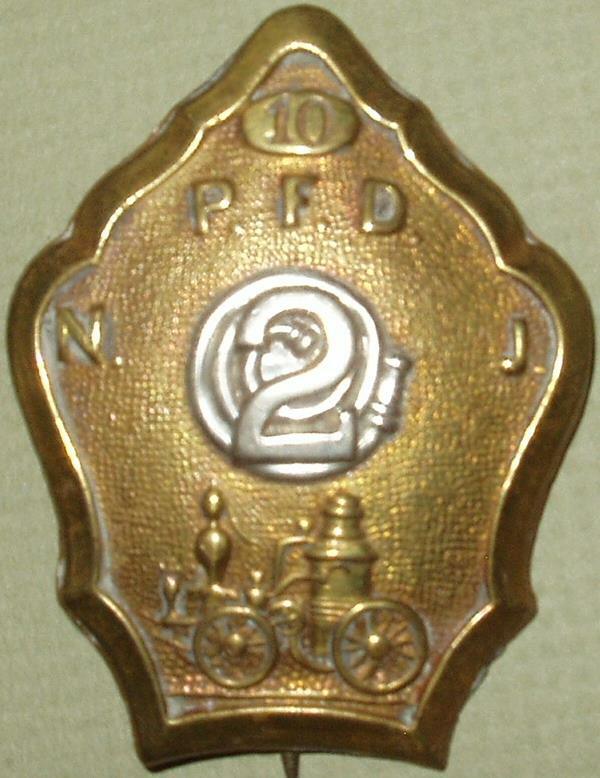 1, Neptune SFE No. 2, etc. 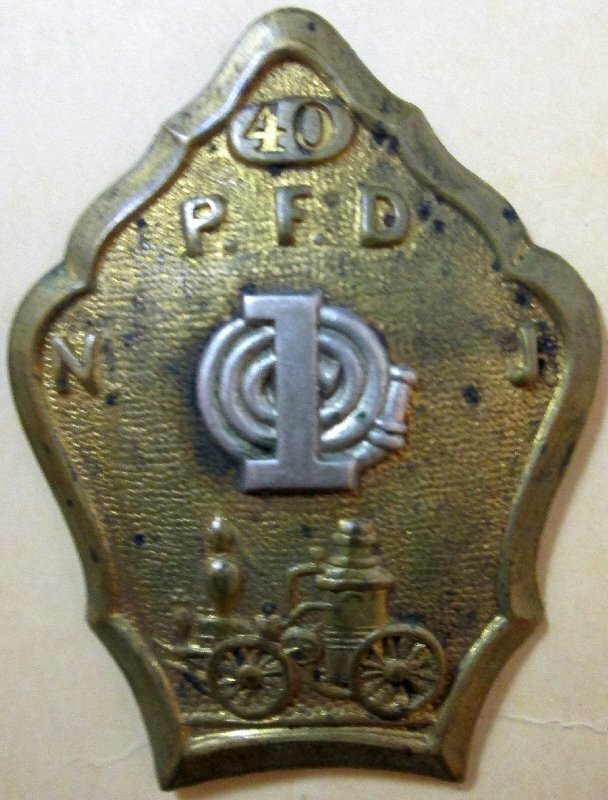 If one states Engine 4, that immediately refers to the paid department starting in 1890. 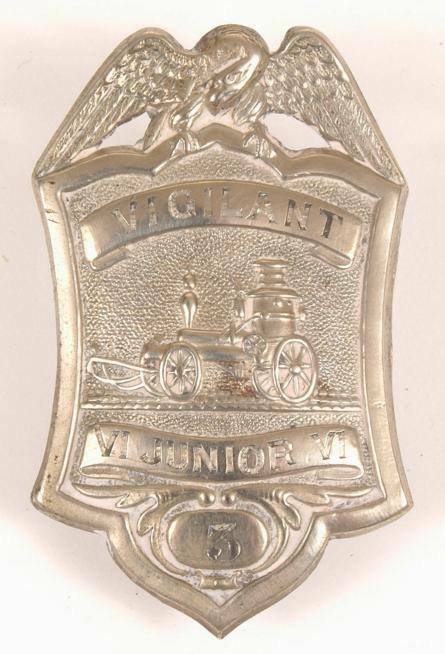 Vigilant Engine Company VI was located at 304 Market Street - Not known what "Junior" refers to on badge but it may represent a child "mascot"